I’ve had Alexa in my life for a few months now and I’ve got a better idea of her strengths and weaknesses. With the UK launch of Google Home it’s time to assess whether I made the right choice for a voice activated home assistant. In the time I’ve had the Echo, I’ve only really used it for a couple of things – music and controlling my lights. I’ve got used to saying “Alexa, turn on the bedside lamp” rather than fumbling around for the switch. There’s not much scope for differentiation there – I’m sure Google Home would do the same job just as well. Music is a different story, and Google Home has a clear advantage – if you also have Chromecast. 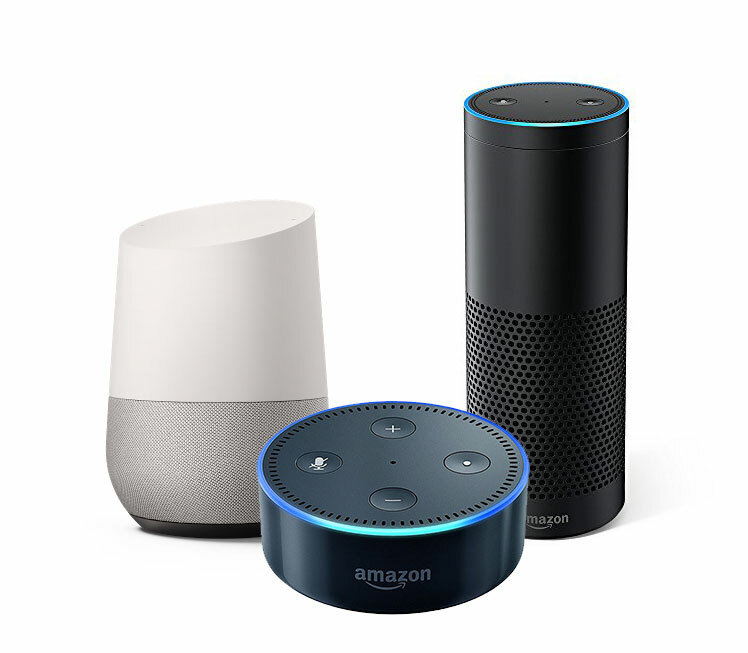 The Echo can stream audio over Bluetooth to an external speaker, but that means all audio – including Alexa’s voice responses. If you’re listening to music and ask Alexa to turn a light on then her response will come booming out of your speakers. I’d much prefer the ability to separate the voice responses from music, so that Alexa’s replies come from the built in speaker without interrupting music being streamed to external speakers. Google Home gives you the ability to play media on a selected device that supports Chromecast, so you’re just sending the Chromecast device instructions on what to play rather than continuously streaming as you would with Bluetooth. Audio via Chromecast is also higher quality than Bluetooth. The Chromecast streams directly from the source over wifi, while Bluetooth audio is compressed before being sent from the device to the speaker. You don’t have to be an audiophile – despite being almost deaf in one ear I can tell the difference, but find Bluetooth good enough. A plus side for Alexa is that If you’re already an Amazon Prime subscriber, it’s cheaper to get music. Prime Music is included, which offers around 2 million songs, or you can upgrade to Amazon Music Unlimited which competes with services such as Google Play Music and Spotify, offering 40 million songs. The unlimited version is cheaper too, as long as you’re already a Prime subscriber. While Play and Spotify cost £9.99/month, Amazon Music Unlimited is £7.99/month and even less if you pay upfront for a year (£79 or £6.58/month). If you want streaming music, already have Amazon Prime for other reasons and have an Echo it’s the obvious choice. The other big plus that the Echo has is the Dot version. With Google Home you’re only option is the full speaker. It’s cheaper than the full size Echo – £130 vs £150 – but much more than the £50 Dot. This makes having multiple Echo devices much more palatable, especially if you already have suitable speakers. The breadth of the skills available is also a plus point for the Echo, and the Home has some catching up to do. It may be better at search, and contextual queries (i.e. remembering the previous question when asking follow up questions), but at this point the Echo is a more open ecosystem. And finally? Well, Google is the outlier in voice assistants. Amazon has Alexa, Apple has Siri, Microsoft has Cortana and now Samsung is getting Bixby. Google has “OK Google”. It sounds like a small thing, but somehow talking to a virtual person feels better than talking to a company. So overall I’m happy with my choice and don’t regret not waiting for the Home to launch.